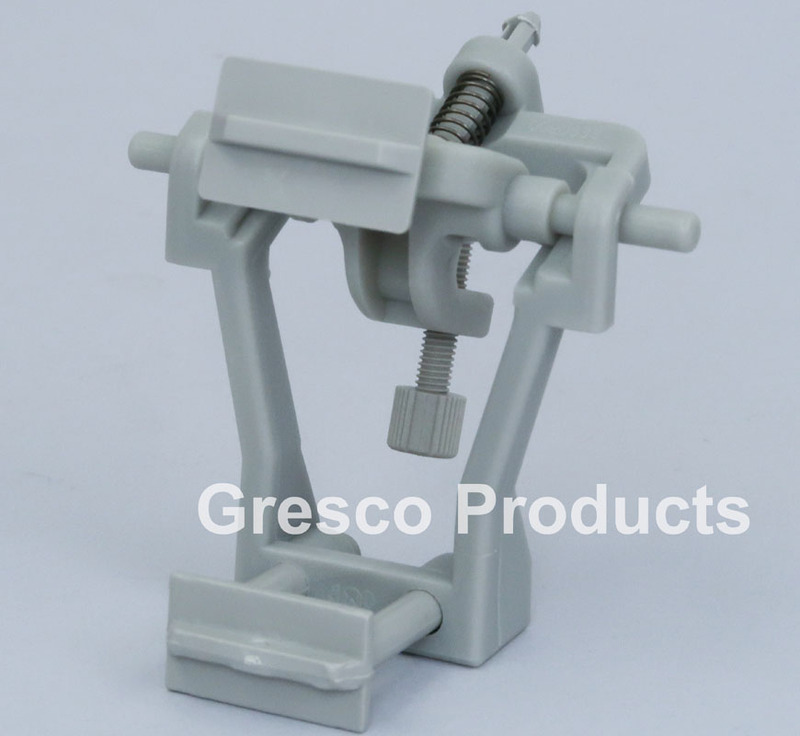 These dental lab articulators with posterior stop are made from a high quality plastic that resists solvents such as acetone. It has a slotted socket so that it is compatible with the most popular brand of base formers. Available in grey color. Each package contains 5 complete articulators with plastic stop screws. No tapping needed - ready to assemble. Made in Korea. Copyright © 2019 Gresco Products, Inc. - All rights reserved.